WASHINGTON -- Both the House and Senate on Friday rushed approved a $225 million bill to replenish Israel's missile defense system. The money will go to restocking Israel's Iron Dome, which has been credited with shooting down dozens of incoming rockets fired by Palestinian militants over three and a half weeks of war. The vote came two days after the Pentagon announced ammunition deliveries to the Jewish state and as a planned 72-hour cease-fire between Israel and Hamas unraveled almost as quickly as it began. Efforts in the Senate to approve the money stalled Thursday night after Republican Sen. Tom Coburn of Oklahoma sought cuts elsewhere in the budget to pay for the aid. Earlier, senators attempted to lump the Israel money into a broader spending bill that included border security and wildfire assistance money. That bill failed to get the necessary 60 votes on Thursday, and the House had little interest in it, anyway. Friday's separate Israel bill passed by voice vote. 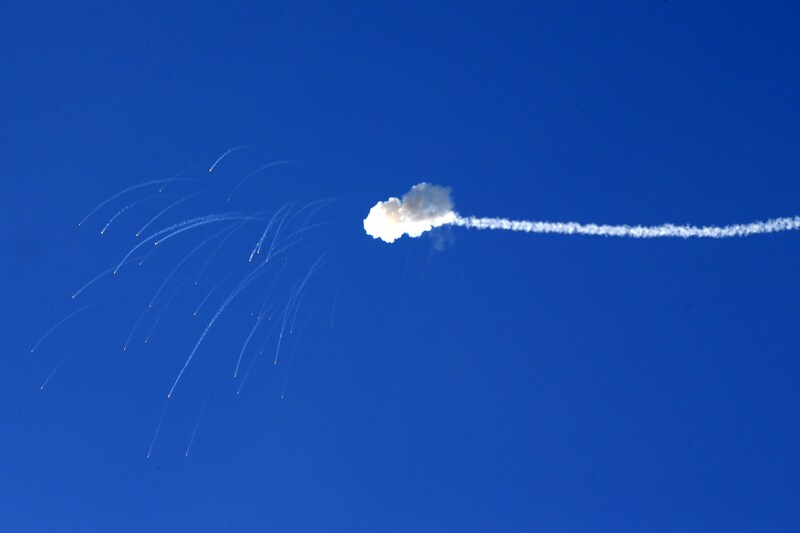 The Iron Dome system has emerged as a game-changer in the current round of violence, with Israeli officials citing a success rate as high as 90 percent. The system uses radar, advanced tracking technology and anti-missile batteries to follow the trajectory of an incoming rocket or mortar and determine if it is headed for a major population center. If an urban area is threatened, interceptors are fired to detonate in the air in close proximity to the missile. Projectiles not posing a threat are allowed to fall in empty fields. The system targets short-range rockets with a range between 2 miles and 45 miles; interceptors cost as much $100,000 apiece. Last year, "60 Minutes" paid a visit to one of Israel's five Iron Dome operational batteries. Each battery has its own radar, command-and-control center, and launchers that fire the intercepting missiles. The equipment's worth about $50 million. Created by Israel's Rafael Advanced Defense Systems, Iron Dome has enjoyed strong U.S. technological and financial support. Throughout its history, the U.S. has provided more than $700 million to help Israel cover costs for batteries, interceptors, production costs and maintenance, the Congressional Research Service said. The total already appeared set to climb above $1 billion after Senate appropriators doubled the Obama administration's request for Iron Dome funding for fiscal 2015. Now it seems likely to rise even further, with President Barack Obama expected to sign any bill swiftly into law. It's unclear, however, how quickly the new supplies might reach the battlefield. And Israel and Hamas may be in for a prolonged fight. A cease-fire arranged by the United States and United Nations collapsed shortly after its start Friday morning, with at least 40 Palestinians and two Israeli soldiers killed. And the apparent capture of an Israeli infantry officer set the stage for a major escalation in a conflict that already has devastated large swaths of Gaza. The Obama administration, which had grown increasingly irritated with the mounting Palestinian casualties, condemned the capture as "absolutely outrageous." More than 1,400 Palestinians, mostly civilians, and more than 60 Israelis, mostly soldiers, have been killed in the last 25 days. Some of Congress' Iron Dome money could go to U.S. defense contractor Raytheon, which can manufacture components of the system after a March 2014 agreement between Israel and the United States. The two companies also are collaborating on a system targeting mid-range rockets that can travel between 45 miles and 200 miles to protect Israel against Hezbollah in Lebanon and President Bashar Assad's government and Sunni extremists in Syria. With an eye on Iran, Israel also is developing a deterrent against longer-range threats. The next generation of the Arrow system is scheduled to deploy in 2016. Shortly after the Gaza conflict erupted, Obama praised the missile defense systems as proof of America's commitment to Israeli security. His administration sent the Israeli request to Congress for more Iron Dome money even as the president and Secretary of State John Kerry have been seeking a humanitarian cease-fire. On Wednesday, a Pentagon official told CBS News senior national security correspondent David Martin that Israel had requested ammunition supplies from the U.S. on July 20 under the normal Foreign Military Sales program - just like any other country that buys U.S. weapons systems. It was not an emergency request. The State Department approved it and turned it over to the Pentagon to fill. The Pentagon decided to use some aging ammunition - 120 mm mortar rounds and 40 mm grenade rounds -- from its emergency War Reserve Stocks in Israel to fill part of the request because it was time to rotate that ammo out of the stockpile. The rest of the Israeli request is still being filled through the normal FMS system which takes a long time to deliver.